Located on the outskirts of Sofia, Boyana Church consists of three buildings. The eastern church was built in the 10th century, then enlarged at the beginning of the 13th century by Sebastocrator Kaloyan, who ordered a second two-story building to be erected next to it. The frescoes in this second church, painted in 1259, make it one of the most important collections of medieval paintings. The ensemble is completed by a third church, built at the beginning of the 19th century. This site is one of the most complete and perfectly preserved monuments of east European medieval art. In terms of total area, the Boyana Church is one of the smallest World Heritage sites I have ever visited. Maybe the smallest. The building itself is very unimpressive from the outside. The real treasure, however, is the frescos on the inside of the building. Getting to the church isn’t difficult, but it does require a bit of work. It is on the outskirts of Sofia. There are some minibusses which go there, but I wasn’t able to find them. I eventually just got a taxi which wasn’t that expensive. It is a worthwhile stop if you are visiting Sofia and due to its size, doesn’t require a lot of time to visit. 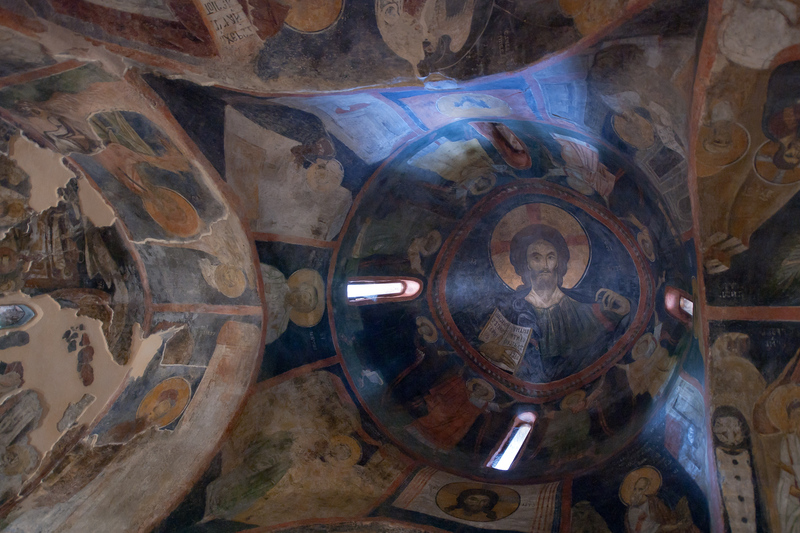 Boyana Church is a cultural UNESCO World Heritage Site in Bulgaria. It is a medieval Orthodox Church located in the city of Sofia, which is the Bulgarian capital. It was inscribed into the UNESCO list in 1979. Boyana Church had its groundbreaking on the late 10th century but the church was completed a century later. Meanwhile, a central wing was added to the whole structure in the 13th century and further expansions were constructed with the latest one in the 19th century. 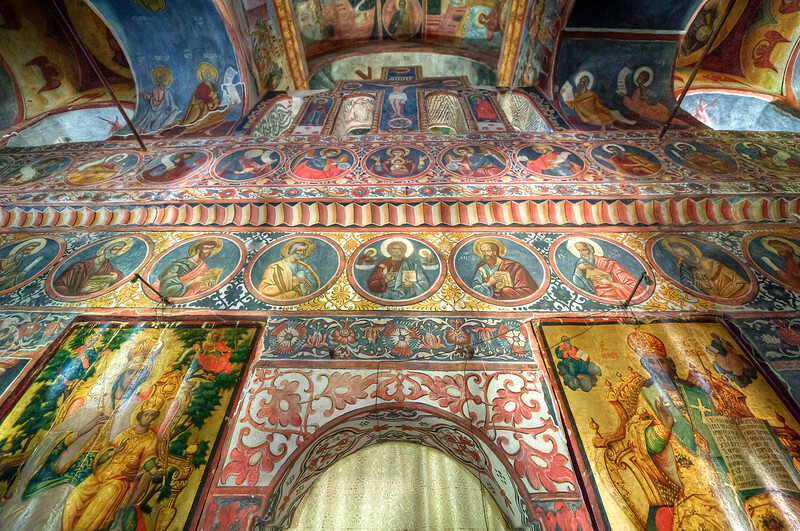 The church of Boyana is most famous for the monumental paintings that depict a total of 89 scenes and about 240 human images. 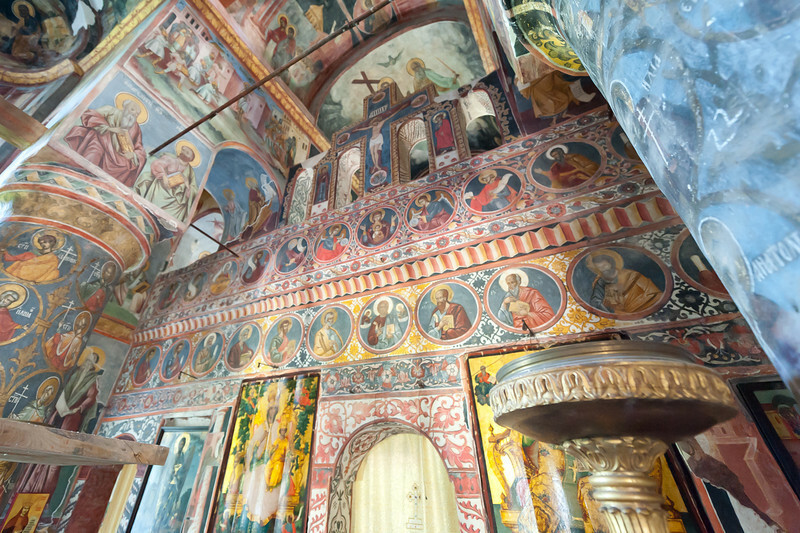 These paintings can be seen on the interior walls of the church. Boyana Church is located within the suburb of Sofia, which in itself is at the foot of Mt. Vitosha in Bulgaria. This church, a UNESCO World Heritage Site, is one of the best preserved medieval monuments in Europe dating back to the Middle Ages. Hence, it is considered a valuable cultural monument in Europe and not just in Bulgaria. There are three buildings that consist of the Boyana Church. The first part is the Eastern Church, which was built in the 10th century. It was expanded by Sebastocractor Kaloyan in the 13th century. The expansion came in the form of a two-story building to be built right next to the original church. At the start of the 19th century, a third building was erected to complete the architectural ensemble of Boyana Church. Since all three of these buildings are largely intact today, they are also considered as one of the best-preserved examples of European medieval art. When you look at Boyana Church from an architectural perspective, it is the best example of a church that has a Greek cross ground plan. It has a dome, ceramic elements, and richly decorated façade. However, the fine wall paintings are the most distinctive feature that also makes it stand out. These frescoes were made in 1259. The frescoes form the second layer over the painting that was applied a few centuries earlier. 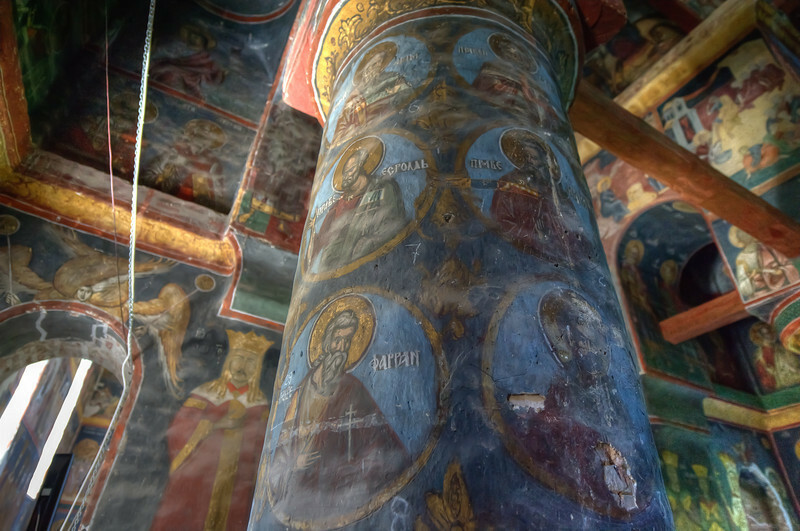 Aside from the preserved frescoes, there are many parts of the church that have several layers of wall painting that date to as far back as the 11th century. These paintings, therefore, reflect outstanding quality knowing that they remained intact for many centuries. To travel to Boyana Church, you can take bus 64 or 107. You can also take the taxi to Boyana Church, which is a more convenient travel option. If you choose to ride the minibus, choose route 21. Majority of the frescoes have remained intact and preserved in their original state since they were painted in as early as the 11th century. However, there have been restorations and cleaning done to ensure that they are preserved. The church was dedicated to St. Nicholas, who was the patron saint of Kaloyan. Hence, it comes as no surprise that his image was depicted among the frescoes. When you visit Boyana Church, there is a limit to the number of people that can get inside at a time. Only 8 people are allowed to enter the church at once. Make sure you arrive early to avoid long queues. Each visit inside the church is limited to 10 minutes only. In order the preserve the artworks inside the church, particularly the frescoes, the inside of the church is maintained to be at 18 degree Celsius. After your visit to the Boyana Church, it is also recommended that you visit the nearby National History Museum. View my complete list of UNESCO World Heritage Sites in Bulgaria.